Belle Isle is trying to make a comeback with the help of several organizations. Hopefully one day it will be filled with people like it was here, over 100 years ago. June 4, 1902. 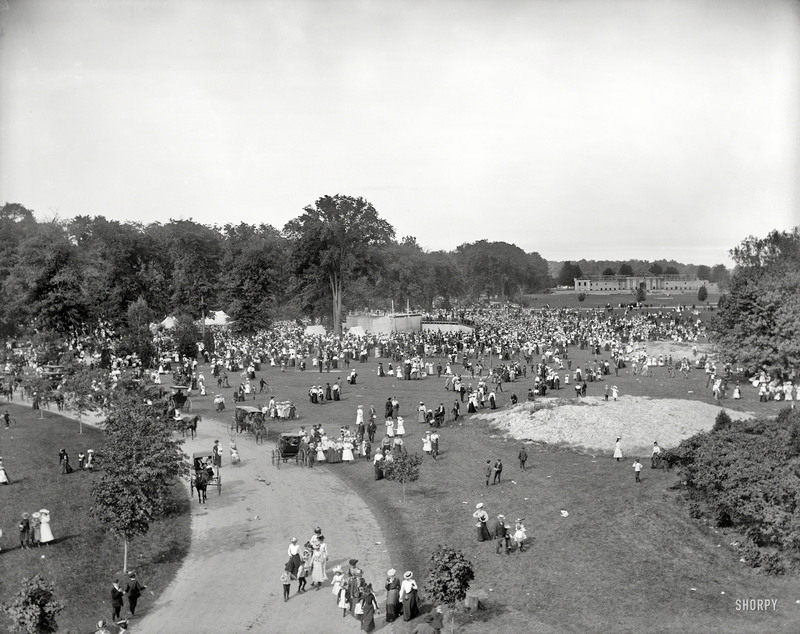 “Children’s Day on Belle Isle, Detroit.” Looks like a good turnout this year. 8×10 inch glass negative, Detroit Publishing Company.